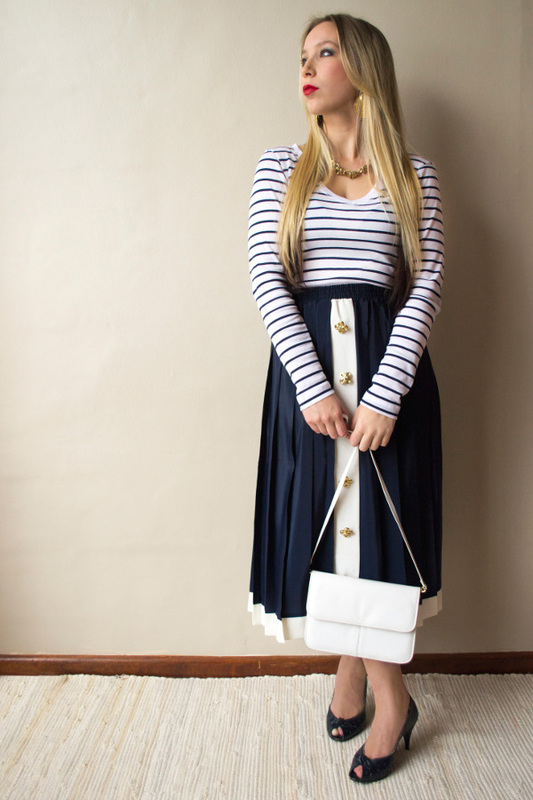 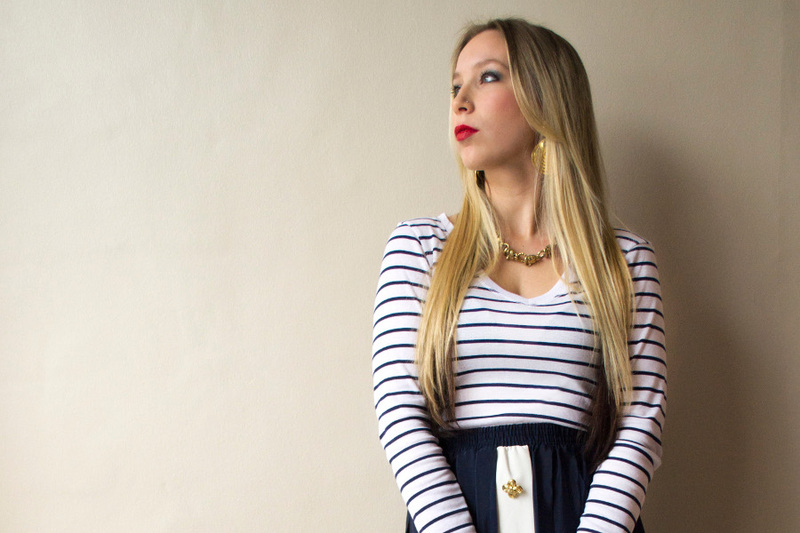 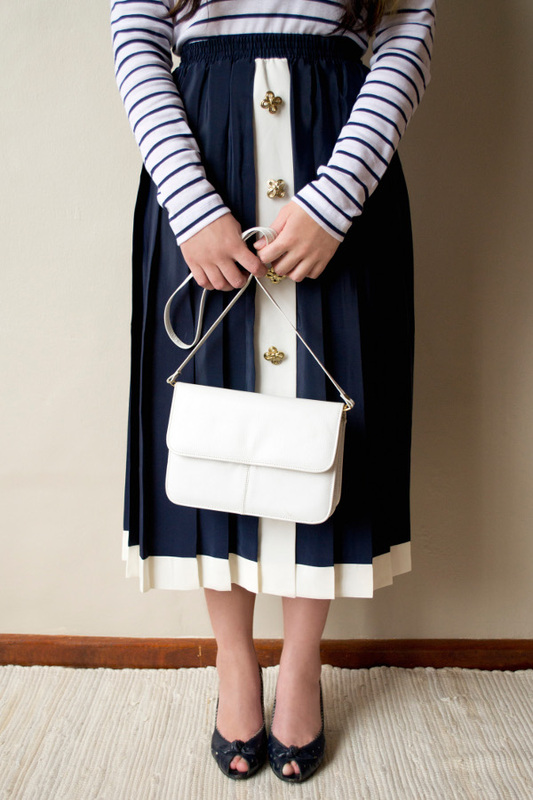 Today I’m channeling a nautical look with sailor stripes in navy and white. 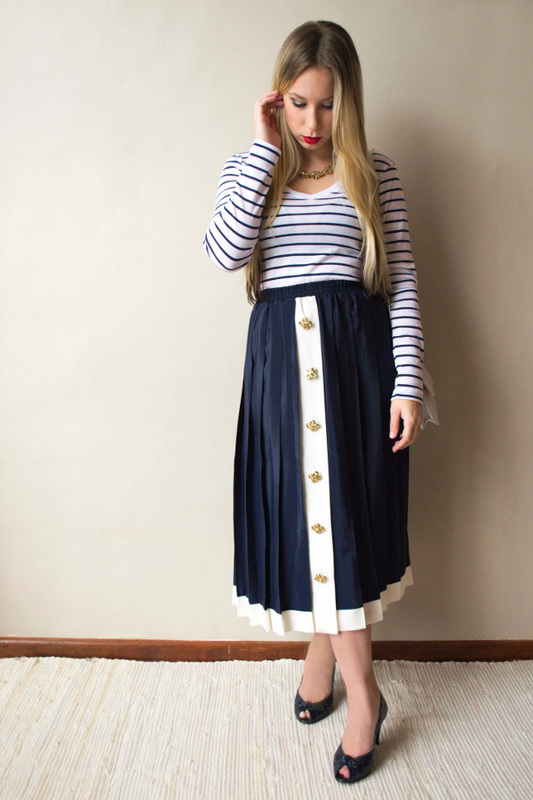 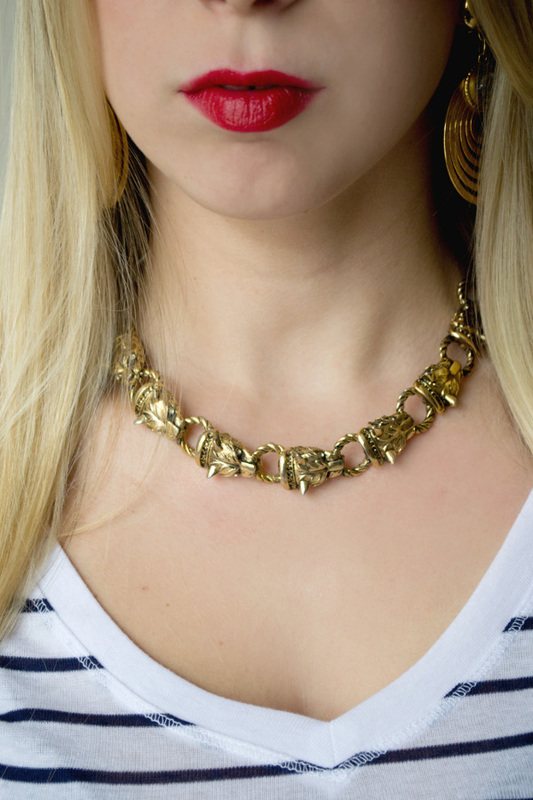 I’m wearing a few Lehza Vintage pieces – what do you think? 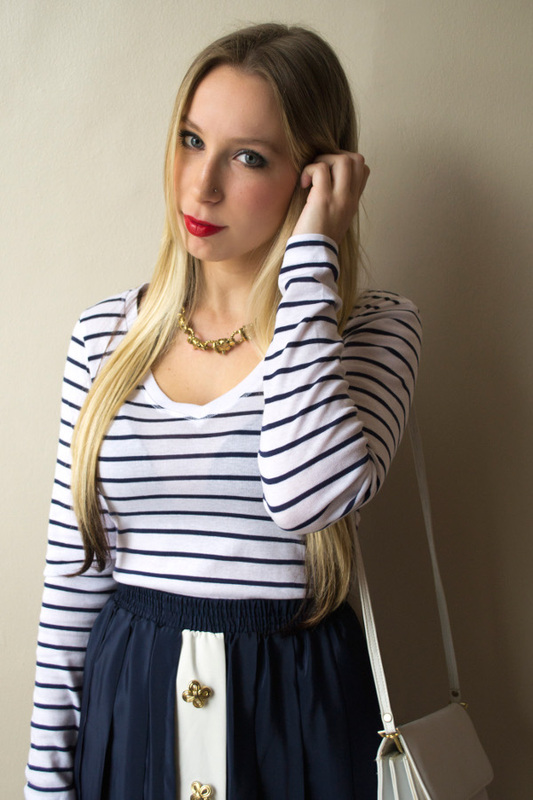 Thank you to Lauren Higley for these pictures.